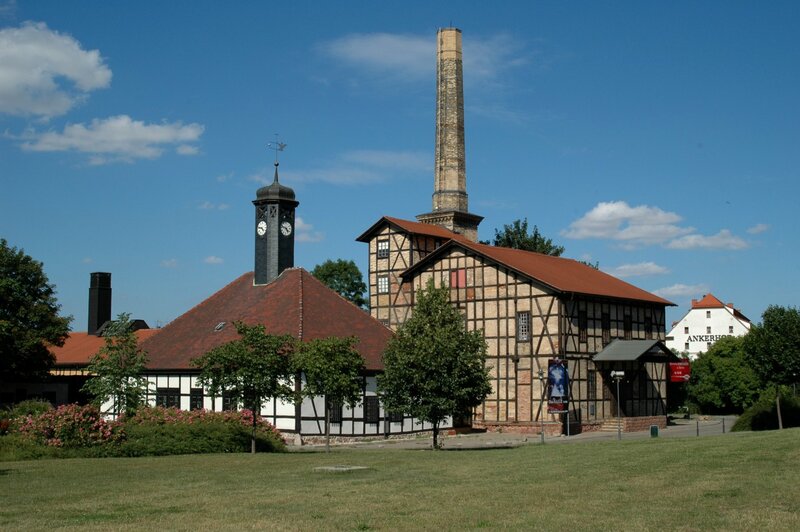 Halle was one of the main trade centres in former times, because salt was produced in the city. At those times salt was as expensive as gold is today. The people producing the salt were called Halloren. The boiling of the salt was done in the building shown below. The building is called Saline. Today you can watch a demonstration there how it was done. You can also see the Halloren in their traditional clothings and you may also take a look at the silver treasure (a silver grail). By knowing about the salty history of the city, one is also able to understand the city arms of Halle. The top star symbolises the salt, which is boiled in a bowl (the flipped half moon). Below the bowl is of course a fire, symbolised by the second star. Another saga tells that sun, moon, and stars should always shine so that the Halloren can find the treasure (the salt).